1 day: Arrival in Madrid. Accomodation in a hotel 3 or 4 stars. 2 day: Breakfast. 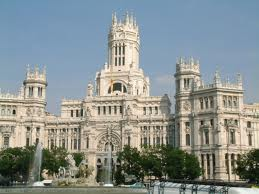 Tour of Madrid: The Palace build by Philip V, Oriente square, Spain square, the monument of Miguel de Servantes, the statue of Don Kihote and Sancho Pansa, Grand Via boulevard, La Sibelas square. 3 day: Breakfast. Prado museum, Placa Major, Puerta del Sol.